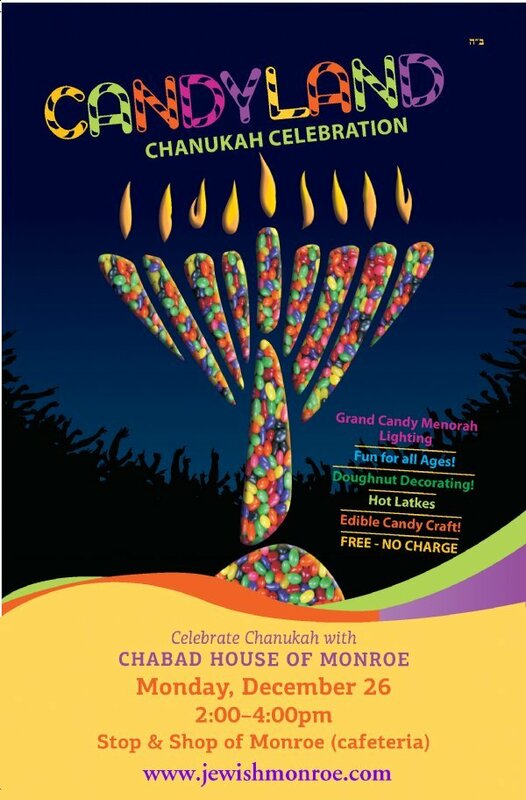 Tuesday, Dec. 20 at 9:15PM - Rutgers Light Up the Knight Menorah Lighting and Latkes Party at Rutgers University! 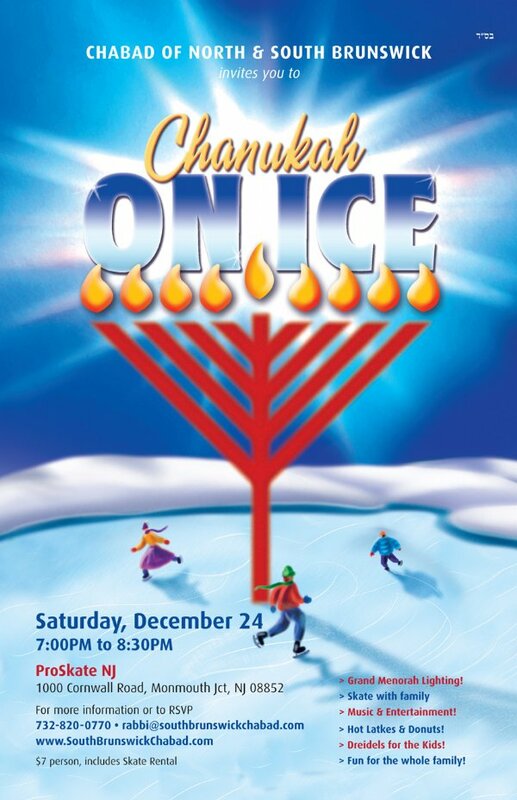 Attention all college students: Join us as we light up the night here at Rutgers with a grand, public Chanukah Menorah Lighting Ceremony, with holiday songs, sufganiot (doughnuts), potato latkes, and dreidel games! And let's not forget about the Chanukah gelt, chocolate all the way! All free! Menorah kits will be available at a nominal cost. 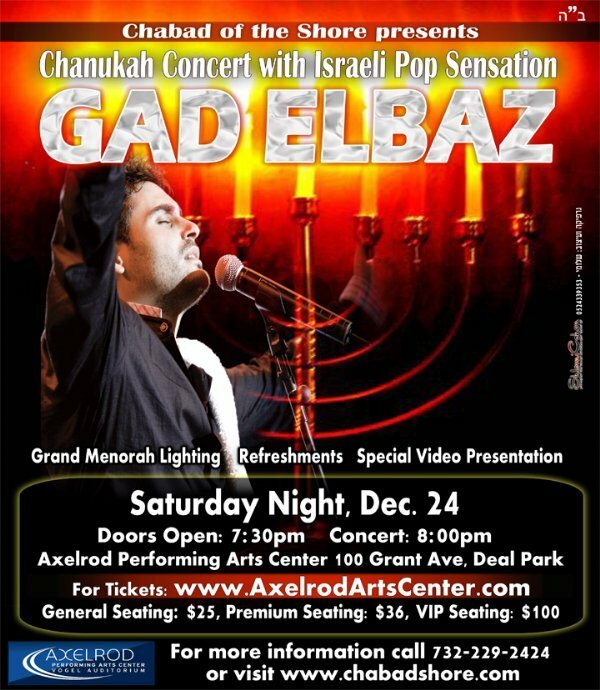 With Israeli Pop Sensation GAD ELBAZ on Saturday Night, Dec. 24. Doors open at 7:30pm at the Axelrod Performing Arts Center. 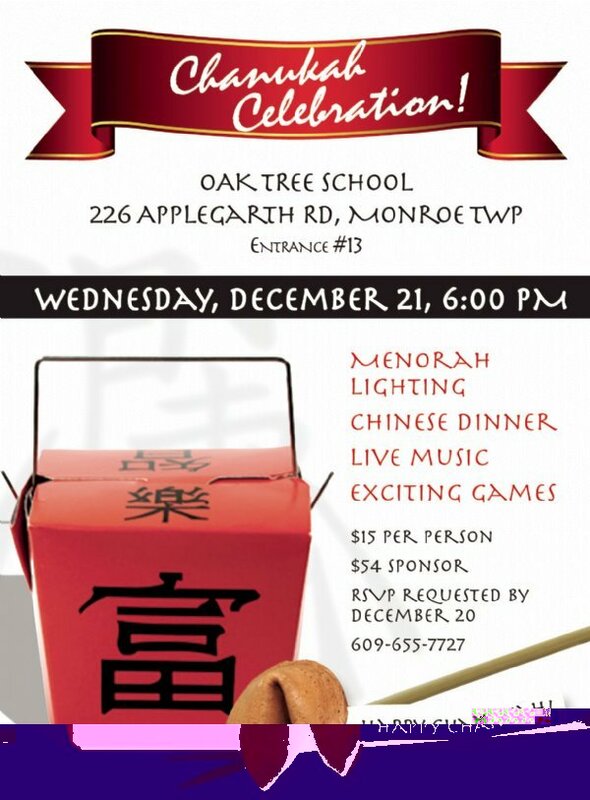 Witness the Lighting of the Largest Menorah in NJ! 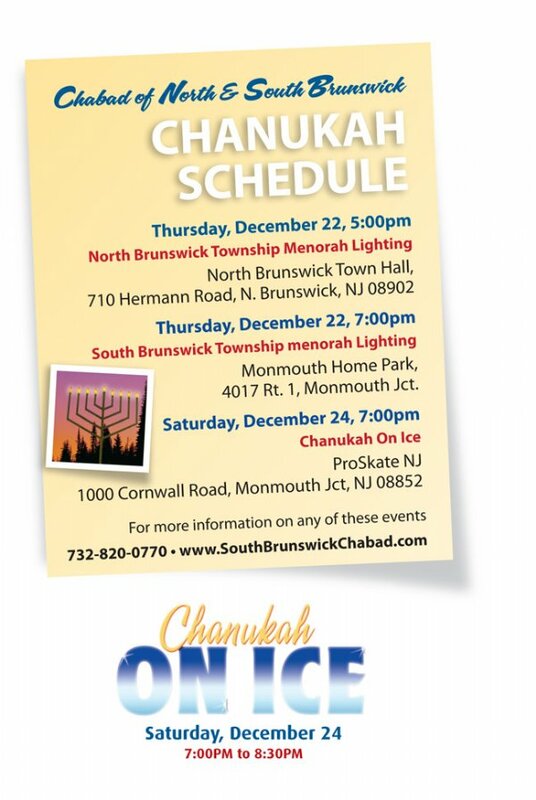 Light the Menorah with the Monmouth Beach Community! Saturday, December 24. 7:00pm to 8:30pm.